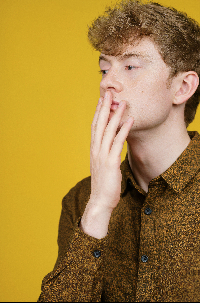 Acaster’s fifth nomination, and an Edinburgh Comedy Awards record. No other comic has been shortlisted five times before, let alone on the trot. In ‘Reset’, the sly, quizzical stand-up focused on going into witness protection and a cunning honey scam he’d come up with. In typical Acaster style, it was an intricately woven hour of stand-up in which he created his own slightly-absurdist world, full of whimsy and pedantry, but still with one foot in reality.